"MAKE THE CLIENT LOOK GOOD"
RCTV Studio is a full service media production company and creative agency specializing in corporate, marketing, music, live event, sizzle and social media viral videos. Whether you need a webcast, commercial, event video, corporate communications, music video, video websites, Youtube / Facebook / Twitter video, electronic press kits or coverage of live events, RCTV Studio will work with you to develop and produce engaging content that successfully connects with your audience. The heart of communication is story telling. 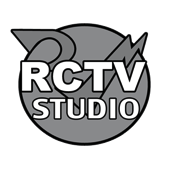 We’ve been communicating since 1991, when we founded RCTV Studio. Come meet our award winning team; an amazing group of producers, writers, directors, editors and music composers. We guide our clients through the process from script writing and creative through post production. Our first step is understanding the objectives of the story, the intended audience, and the needs of the client. We know how to spotlight your brand. We know what you need. You need what we know. Producing compelling content for our clients is our top priority, but your experience during the process is equally important. The team at RCTV Studio cares deeply about customer service. We build long-term relationships. Let our award winning team 'make you look good'.